Apple's launches of its streaming video service Apple TV+ and other additions to the company's Services business won't offer as much of a gain as investors think, according to HSBC, with the iPhone maker arriving "too late" to make a major impact in any of the industries it is entering with its new offerings. Apple's March "It's Show Time" event saw the launch of a number of services, including the Apple News+ subscription, Apple TV changes featuring Apple TV+ content, Apple Arcade, and Apple Card. Despite the generally positive opinion on some of the launches by analysts, albeit with the sense of being underwhelmed, HSBC believes the revealed services won't make much of a dent in Apple's finances in the short term. HSBC analysts downgraded Apple to a "reduce" rating with a price target of $180, causing shares to fall by 1 percent in premarket trading, reports CNBC. The firm believes the push into services will have lower margins than investors would prefer, and won't see any real benefit to Apple's bottom line for some time. HSBC last downgraded Apple's shares in December 2018, shifting it from "buy" to "hold" and applying a target price reduction from $205 to $200. "Recent announcements on services has Apple putting money where its mouth is but returns could take some time to extract," the investor note reads. "While the new offerings may garner consumer attention, we do not expect these services to move the needle significantly." The relatively mature markets Apple is inserting itself into is a concern for HSBC. 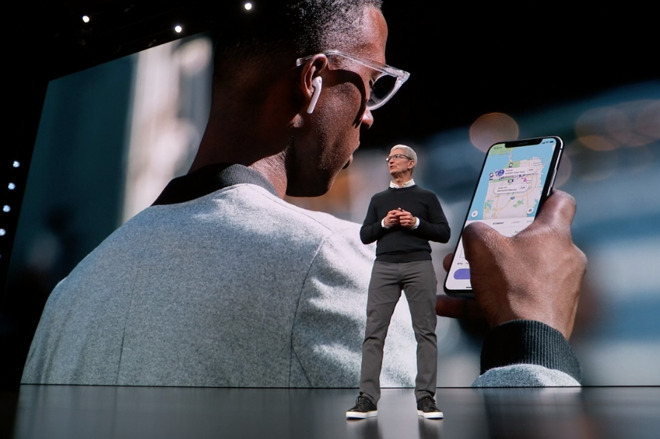 "We believe Apple has come too late to the game," the analysts continue, suggesting the services "by and large do not differ much or are below par to offerings from competition." The success of the new services is also thought to be limited outside the United States, with a lower chance of success at acquiring and retaining customers in emerging markets and other countries. HSBC also offers a warning to investors who may feel the current valuation of Apple is "reasonable" after its earlier financial issues caused in part by lower than anticipated iPhone sales in China. "We believe that following a 41-percent rise from January 2019 lows and relative optimism and complacency on the services announcement as well as side-sell ratings, there is now some downside," the investor note asserts. I love how these people drop their guidance and spew some nonsense about how Apple is "doomed" or "Android did it first and better" and that Apple is "too late to the game". And then two years later moan and complain about how Apple Card is the hottest thing on the market and Apple was visionary and got it right. Apple is still a disrupter. The credit card, insurance industries are possibly the last of the sectors that, thus far, have skated by without any real innovation. And they’re soiling themselves. So, let me understand this, APPL didn't choose HSBC to back their Apple Card. HSBC is underwhelmed by the prospect of high profit customers getting the non-HSBC card? Nothing here folks, move along. . . .
Did HSBC even bother to study these new services? The apple card is something no other card can even come close to offer. The TV service is also much more comprehensive than other services. If it was too late, I wonder why Samsung, LG and other makers have made Apple TV a native app on their smart TV. Lastly their Apple Music was launched way after Spotify but has already surpassed paid users in USA. I think HSBC should worry more about their own performance which has dwindled along these years rather than making comments on subjects they are not even familiar with or made thorough study. Just remember, stock analysts have never run a business that makes stuff. Leonard Mlodinow's A Drunkard's Walk: How Randomness Rules Our Lives discusses the pure chance by which analysts gain an undeserved reputation for intelligence. Most of these analysts are complete clowns, and many of them have been constantly wrong going on decades now. Anybody can just pull some crap from their behinds and make a few guesses and predictions here and there. There are never any consequences if they turn out to be dead wrong. Apple has so many categories of products and services now and it's not like Apple is betting the house on any of these new things that they've announced. Apple is so huge that they can even afford to make a minor mistake from time to time. Not everything that Apple does or releases is going to be a huge game changer. Apple has hit so many homeruns that certain people whine if Apple only makes it to second or third base sometimes. I remember seeing a story the other day about how more than eighty something percent of all teens in the US planned to get an iPhone as their next phone. I am downgrading 90% of all analysts who cover Apple, and I am lowering their total worth and the value that they bring from 11 cents down to 3 cents. Most of them fail to see the big picture, and they only care about the short-term and quick profits. I would say that that kind of thinking is the complete opposite of the thinking that is required to sustain a long lasting and very successful company. To an analyst, if they predict $1.31 in profits per share and a company reports $1.30 in profits while making billions in a single quarter then it's the end of the world. They can take their penny and shove it where the sun don't shine. Apple will still be around long after all of the current analysts have gone to their graves. Disagrees with HSBC, esp. if their perspective is solely only considering US market instead of global markets. The success of Apple's new services is dependent on one key element - speed to market. How fast Apple is able to roll out to tier 1 and 2 countries with approvals from their respective regulatory/censorship body will shape Apple's services success. Netflix took years to even reach my market (among tier 1 countries for almost all Apple launches). To-date, Netflix has only reach so few markets globally. If Apple TV/TV+ is able to roll out within a year to all tier 1 countries and some tier 2 countries, it will be among the top few content services that have wide-spread presence. We don't even get direct HBO or Disney contents here. It's all through cable TV provider(s) who are slow to progress towards IPTV services. Apple can still be successful outside of US. Apple was pretty late to the game when they introduced the iPhone, too. Just curious where the phrase “iPhone maker”, used to describe Apple in this article, came from. It’s not on the referenced CNBC article and searching for it in relation to HSBC comes up blank. I did find something on TheStreet that called Apple a “computer and iPhone maker” but searching for the reference to Apple with the simplistic descriptor of “iPhone maker” seems to occur only in this AI article, WRT the HSBC downgrade. What led me to this waste of time was that I was going to mention that the analysts at HSBC seem to be stuck in the “iPhone maker” mentality but I can’t find justification for that thinking. Reminds me of the good times when Steve Ballmer (Microsoft) said about the iPhone, "There's no chance that the iPhone is going to get any significant market share. No chance." Perhaps, HSBC doesn't believe (praying) that the gain of billions of dollars will mean anything to Apple or the loss of the same will impact banks like them. Thank you Thank you Thank you HSBC first creating a buying opportunity. Perhaps this article shall mention nokia’s ignorance towards smartphones that sealed their fate. I get what they're saying with regard to Apple Card -- credit is a mature market with a lot of serious competition that will respond accordingly. But I don't really get the idea that cord-cutting and television/media streaming is somehow suddenly a mature market. Disney+ hasn't even launched, and ESPN+ is in its infancy. CBS All Access might be doing okay, I don't know, but it is still an experiment regardless. Netflix is an outlier, increasingly reliant on its own productions. At this point, it's more like HBO, Showtime, etc. Just another premium service. These analysts seem to think that is what Apple is doing here, I guess? If so, they haven't been listening. Hulu is what it is -- everything there can be purchased directly or recorded live, and if Apple goes into live television streaming like Hulu and PlayStation Vue have, then that's a different conversation. Amazon Prime and its premium channels (HBO, Showtime, etc.) may be the closest thing to what Apple is doing with tv+ and the TV app. Amazon had a big head start, but it is unique. Just like Amazon, Apple has a structural advantage that they can leverage, but it is different from Amazon's and that provides an opening. Will Apple's approach succeed? That's hard to say without more information, and even then... But to argue that the news and entertainment industries are stable markets and not in flux just seems misguided. "Too late to the game" is a recurring theme for those Apple critics who fail to observe that taking an existing concept and making it much more usable, and desirable, is one of Apple's demonstrated strengths. As the building of a lifestyle brand that increasing locks people into an ecosystem, the Apple card is huge. So intimately tied to the iPhone, it almost guarantees customers who adopt it will never leave the Apple compound. ANALysts also said Apple Pay would not take off and I was shocked to see how broadly it is now accepted and used globally. All these posts make me glad I'm not the only person who sees how insane these predictions are. As someone said, thanks for the buying opportunity. Wouldn't mind if Apple dipped to a $100 a share for a month to be honest. While I agree that these costs are something Apple can easily afford, I think you're underestimating the potential cost of Apple's foray into content services. They've already spent more than the $1B you cite and that's just for a handful of original shows. A few originals do not a 24/7 streaming network make. They'll have to spend massively to license additional content from the established content providers - if their plan is really to be a Netflix/Prime competitor. Which, to me, isn't altogether clear they are. Since no pricing has been announced on Apple TV+, there's a chance that Apple might offer it for free or as part of a bundle (e.g. w. Apple Music) to further entrench its users into the Apple ecosystem. That alone (keeping & attracting more Apple customers) would be worth a $1b/year expenditure on some shows. Anyway, I don't agree at all with the analyst: he/we don't know enough about what Apple TV+ is supposed to be to know whether Apple is too late. With regards to the credit card, he severely underestimates Apple's brand power. The card & associated benefits (usability, rewards, etc.) are exactly what a typical Apple customer is looking for. I bet they'll have tens of millions of card members within the first year. I'll certainly be one of them - what's not to like: 3% off Apple gear! easy visualization of expenditures, better security.....and a lovely physical card to boot! The success of Apple's new services is dependent on one key element - speed to market. Apple has proven over and over again that being second or third works just fine after everyone else makes their mistakes and the herd thins out. Did Apple beat everyone to the market with the iPhone? I clearly remember many people in the industry saying that Apple was late to that market too. "Too late to the game..." Just like Apple Music and the iPad.